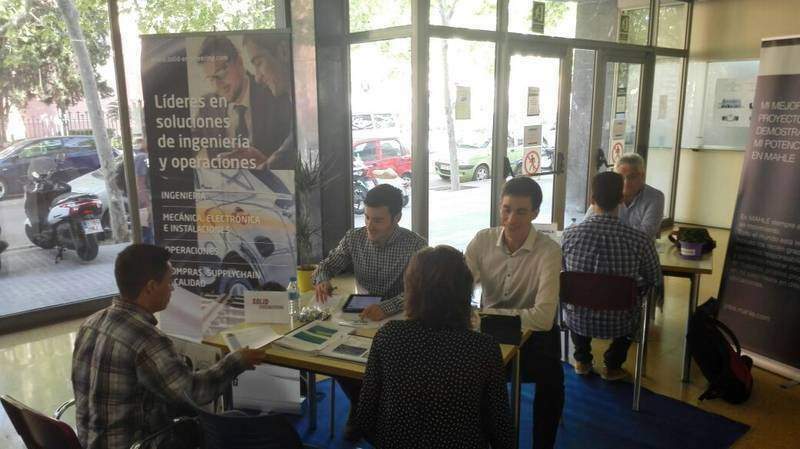 Solid Engineering Assisted the past 6 of May to it X edition of the Fair of Companies organised by the University of Barcelona (UB) to the faculty of Physical and Chemical and in which also took part the faculties of Biology, Geology and Mathematical. The event is an opportunity so much for the students, that can take contact with the labour world, how for the companies, that can know more than near here the formative reality of the moment and different profiles with or wide potential. The edition of this year received in addition to 80 companies and allowed to the students realise activities and complementary workshops with the purpose to approximate-more to the business surroundings of the moment. Besides, Solid Engineering goes can know different university profiles, many of which encaixen in different projects of the company. Approach to the future generations of professionals always is an opportunity to know the possible strong points of the labour field and tighten ties. The Fair of Companies of the University of Barcelona has not been the only event between students and companies to which Solid Engineering has asitido in the last weeks. The past 7 of May, the company was present in it Face2Face that the Polytechnical University of Barcelona (UPC) organised to his headquarters of Vilanova and it Geltrú (Barcelona). It Face2Face is a very dynamic event centred mostly in realising interviews to the students, the majority of which look for his first contact with the labour world through programs of practical. Nevertheless, also they assist students with labour experience with aim to transmit his experience to the companies of the sector. The event of Vilanova and it Geltrú, to which assisted more than 20 companies, counted with the participation of big companies like Endesa, Indra or Accenture. The students, conscious of the importance of a first prisoner of contact with the labour world, took advantage of to do networking in the companies that more encaixen with the career cursada. Solid Engineering Takes part every year in several events of this type in different Catalan universities. Know closely the future talents allow to the company follow betting for his greater value: the human capital.